For those of you who are not familiar with the village of Conon Bridge and the surrounding area we hope that you will find this website interesting and informative and will visit the village when you are next in the area. For those of you who are resident in the village we hope that you are proud to be a part of your community. To those of you who are moving into the community (mainly through the Braes of Conon housing development) we wish you a warm welcome and hope that you will take an interest and become an active participant in community life. If you are interested in local history you might like to access the link we have created to an article which was included in a previous edition of the Conon Craic newsletter. The five-arched bridge designed and built by Thomas Telford between 1807 and 1809 was demolished and replaced by the current road bridge which opened in 1969. The Conon rail bridge was designed and built for the Inverness and Ross-shire railway by Joseph Mitchell and was opened in 1862. 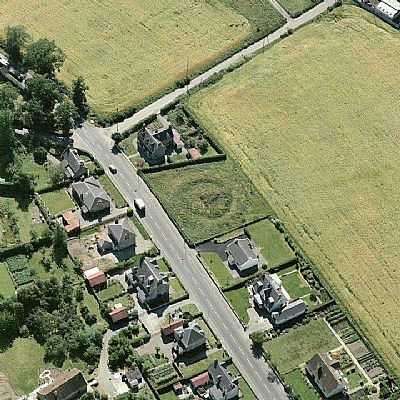 This well preserved Henge or ritual enclosure is situated just after the left hand turning to the railway station on the left hand side of Station Road on the way into Conon Bridge from Muir of Ord. It is believed to date from Neolithic times between 4000BC and 2401BC. The above aerial view of the Henge was taken about 1980. 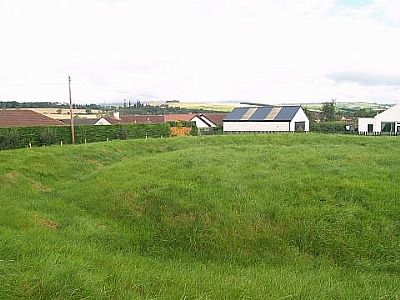 The above view of the Henge was taken at street level in 2014. 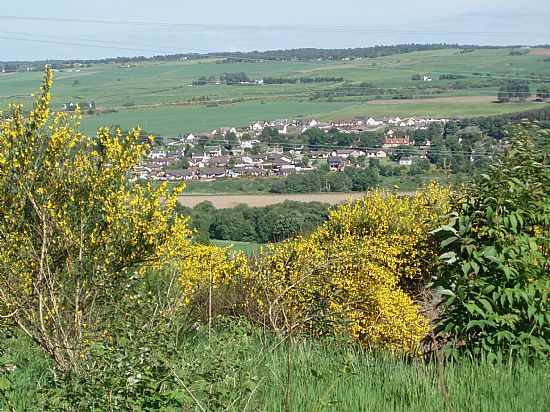 The current population of the village of Conon Bridge is just under 2000 and within the next few years it is expected to grow to about 2300. Primary school children from both Conon Bridge and Maryburgh attend Ben Wyvis Primary School which was opened in 2012. Older children are educated at Dingwall Academy, some 3 miles from Conon Bridge. Many of the residents of Conon Bridge work in Inverness, some 13 miles South of the village across the Kessock Bridge while some of the others work in Dingwall. There are a number of small businesses in the village; their details can be found in the Conon Business Listing page of this website. Conon Bridge railway station re-opened in February 2013 having been closed with so many others in the 1960s. The journey time to the centre of Inverness is about 25 minutes on a reasonably frequent service. Train times and other rail travel information can be accessed through the ScotRail link. Abellio became the ScotRail franchise holders for daytime services on 01 April 2015. Serco became the operators of the Caledonian Sleeper services from Inverness on 31 March 2015. For more information on the Sleeper service, follow this link. There are 3 bus services to Inverness which run through the village. No 25 and 27 buses take about 20 minutes and cross the Kessock Bridge. The No 28 takes about 40 minutes via Muir of Ord, Beauly and Kiltarlity. From 09 January 2017, all services will leave Inverness from Inverness Bus Station. Timetables for these services can be accessed through the Stagecoach link. If you have a complaint about a bus service, please contact the bus operator in the first instance and also send an email to public.transport@highland.gov.uk. Stagecoach can be contacted at highland.enquiries@stagecoach.com or by telephone on 01463 233371.